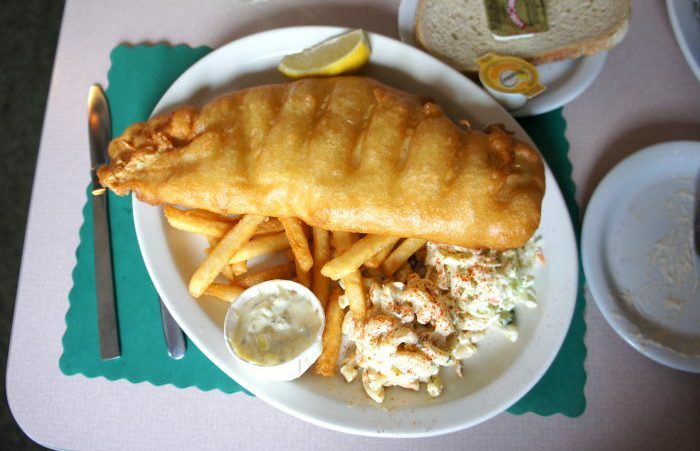 This Irish pub serves up one heck of a fish fry (on Fridays)– and it’s HUGE. 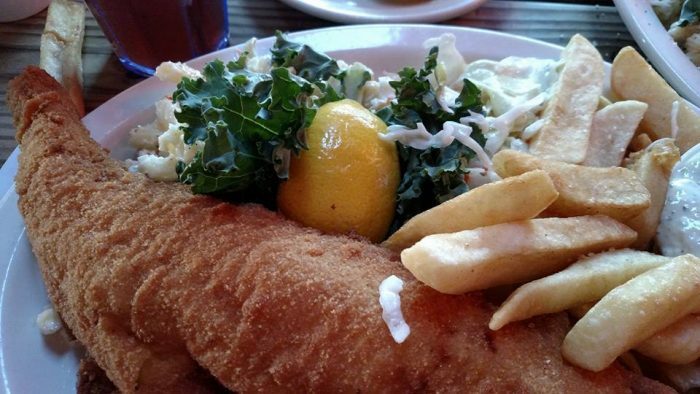 Beer-battered, breaded or broiled, they do it right. And while you’re there, do yourself a favor and get the homemade jalapeño cheddar tater tots- they are TO DIE FOR. 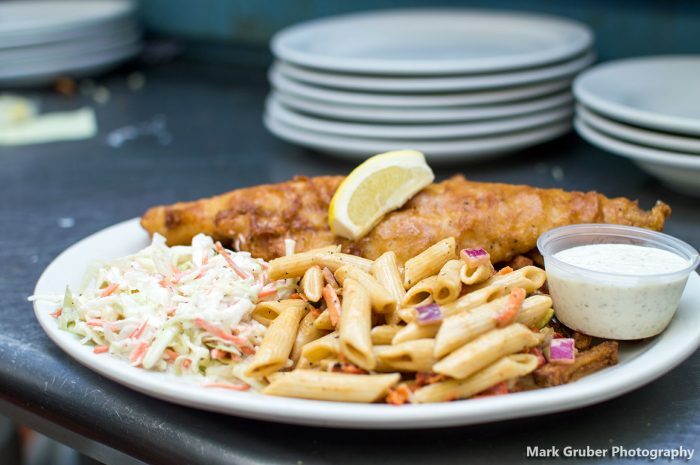 Expect nothing less than a delicious, boozy Guinness-battered haddock fish fry experience from your typical Friday night dive bar. And the coleslaw (a MUST) is as good as it gets. Who would’ve thought?! 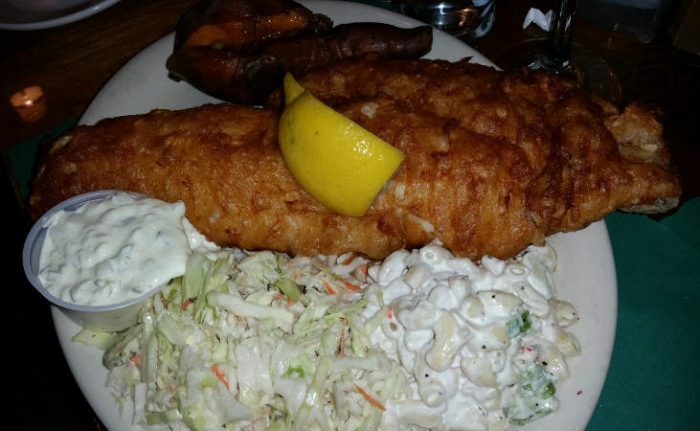 This little old bar is doing something right, because their fish fry is . And let’s not forget about sides- the homemade potato salad is also DELISH. 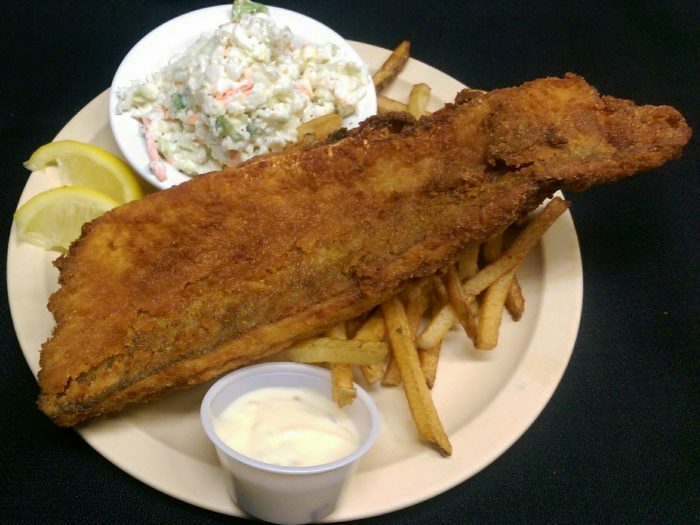 They’ve got a great beer selection, and an even better fish fry! It’s not too greasy, and has just the right amount of crisp. 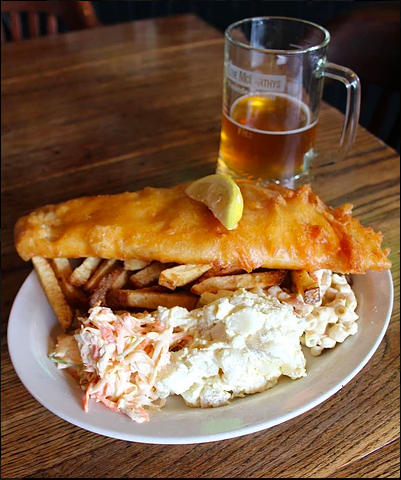 Go for the fish fry, and stay for the beer (they’re open ’til 4am, folks). We know you shameless beer-lovers out there care more about the beer than the food. Well, you’re in luck. This place has got everything you’re looking for. They’re cooking up something special in the seafood department (on Wednesdays and Fridays) that pairs perfectly with any drink. 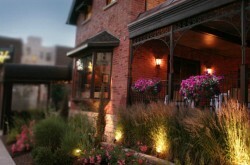 We couldn’t make a killer fish fry list without adding Hamlin House. The batter is light and fluffy, the fish inside is the perfect flavor/weight/color/everything, and the vibe is as old school as it gets. Wanna know more? Good because we wrote aaaall about it here. PSA: It’s almost impossible to get in this place on Friday’s. 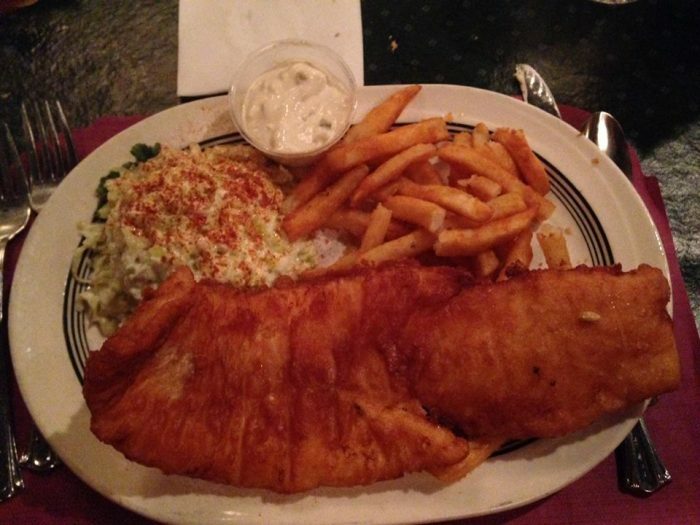 What’s a good fish fry without the tarter sauce (amirite)? Well here ya go. 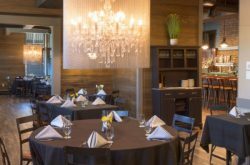 It’s not your typical tarter, but it’s about to be your fav. 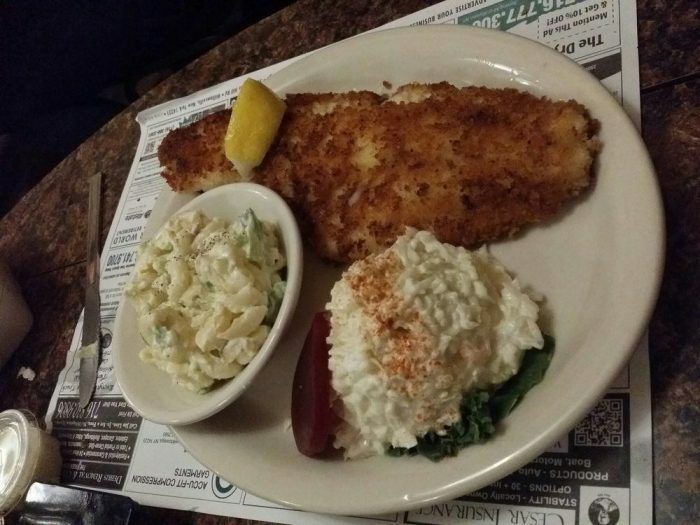 Now pair that with a phenomenal fish fry. They have a fab breaded haddock- and what’s even better, they give you TWO (aka one-to-go). 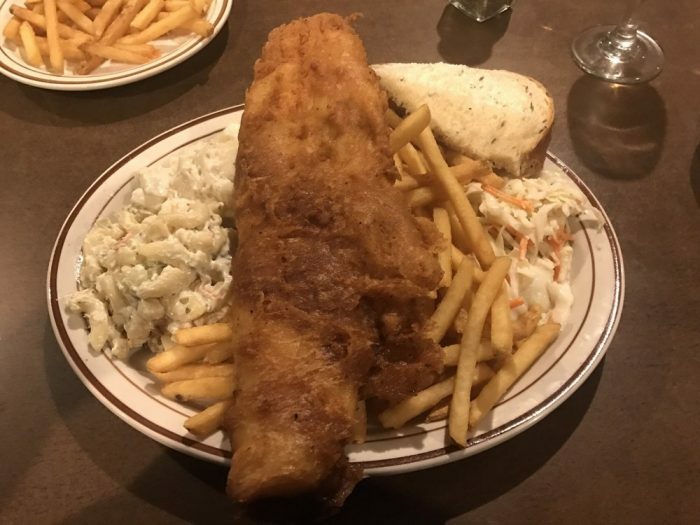 And let me tell you, a McPartlan’s fish fry is just as good on the second day (and third). You said you’re looking for a freaking good fish fry without the Friday night crowd? Let me introduce you to your new favorite day of the week: Wednesday. (They also serve them on Fridays FYI). 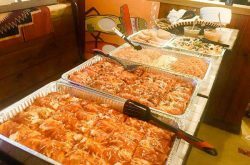 Choose from an original, lemon pepper or cajun style fry. One word: YUM. That goes for both the fish fry AND the mac salad- and you don’t have to sacrifice a potato for it (!!!). 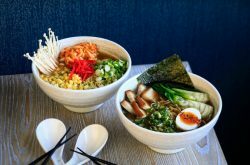 The meal is literally picture-perfect (#plus). 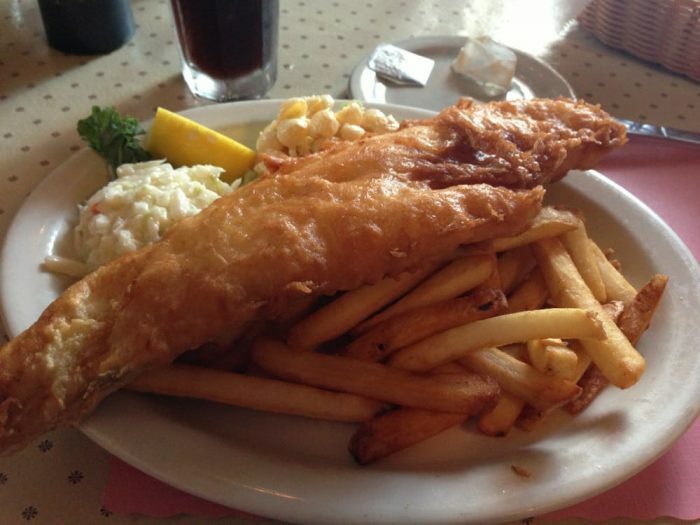 Not to overwhelm you or anything, but expect to be served a WHALE fry crisped to the max (it literally hangs off the edge of the plate). It will eat you up if you don’t eat it fast (jk guys, it’s not actually alive).